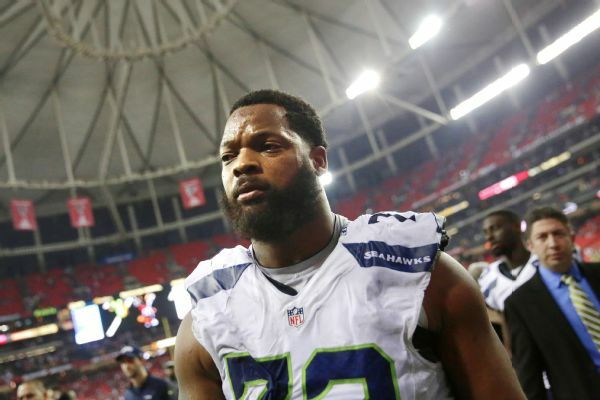 Seattle Seahawks defensive end Michael Bennett has withdrawn from a group of NFL players planning to visit Israel next week. Writing about his decision in posts on Twitter and Instagram on Friday night, Bennett said he was concerned that the goodwill tour, which is sponsored by the Israeli government, would be viewed as showing preference to Israel over Palestine. "I was not aware ... that my itinerary was being constructed by the Israeli government for the purposes of making me, in the words of a government official, an 'influencer and opinion-former' who would then be 'an ambassador of good will,'" Bennett wrote. "I will not be used in such a manner. When I do go to Israel -- and I do plan to go -- it will be to see not only Israel but also the West Bank and Gaza so I can see how the Palestinians, who have called this land home for thousands of years, live their lives." Denver Broncos running back Justin Forsetthad been on the list of players scheduled for the Israel visit, but he tweeted Saturday that he would not be going. Fellow Seahawks defensive end Cliff Avril was among the players scheduled to make the Israel trip. Other players scheduled to go are Arizona Cardinals defensive lineman Calais Campbell,San Francisco 49ers running back Carlos Hyde, New Orleans Saints defensive end Cameron Jordan, Philadelphia Eagles linebacker Mychal Kendricks, Miami Dolphins wide receiver Kenny Stills, Tennessee Titans tight end Delanie Walker and Oakland Raiders defensive tackle Dan Williams. An open letter in The Nation has called on the players to "consider the political ramifications of a propaganda trip organized by the Israeli government that aims to prevent players from seeing the experience of Palestinians living under military occupation." Stills has tweeted support of Bennett's post and retweeted the open letter. Israel's settlement building in land claimed by the Palestinians has been a key obstacle to the revival of stalled peace talks between Israel and the Palestinians. Most of the international community considers all Israeli settlements in territory the Palestinians want for a state in Gaza, the West Bank and East Jerusalem illegal and counterproductive to peace. The NFL players are scheduled to arrive in Israel on Monday. An exhibition game involving the players is set for Feb. 18 in Jerusalem. In a statement announcing the trip, Israeli Minister for Strategic Affairs and Public Diplomacy Gilad Erdan said: "I see great importance in the arrival of this delegation of NFL stars to Israel. I have no doubt that their visit will be a powerful experience for them and I hope that, through their visit, they will get a balanced picture of Israel."